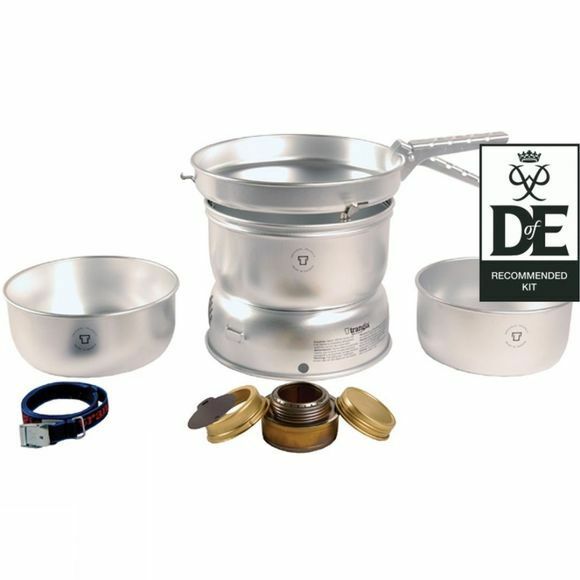 This extremely practical, lightweight cooking set is perfect for backpackers or hikers, where every gram counts on the move. Using ultra lightweight alloy the Trangia 25 is now 21% lighter than the original version. The cooking set is suitable for groups of up to 4 people.